As someone who was born when The Beatles were still together (just barely! ), I’ve witnessed much of the modern music revolution: From vinyl to 8-tracks to cassettes and then to digital formats. But one of the biggest turning points for me was my first Sony Walkman. I don’t recall the year I bought it — definitely in the early eighties — but I thought I was something special, able to listen to cassettes on the go. 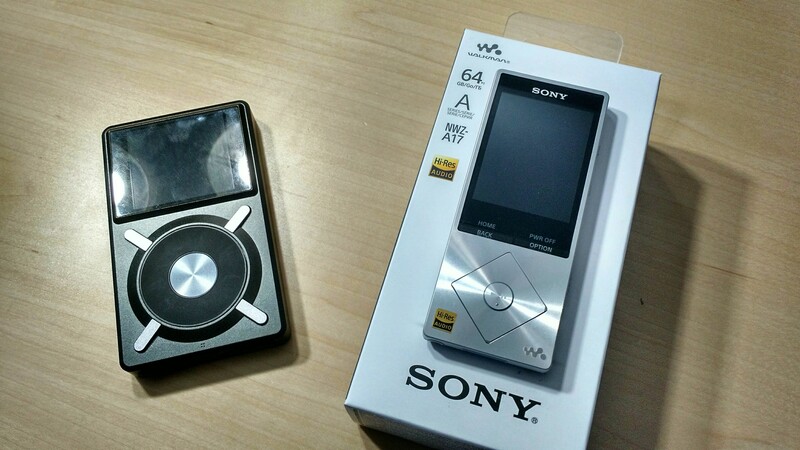 Here we are in 2015 and I just bought another Sony Walkman. My new $299 Walkman, the forgettably named NWZ-A17SLV, which I’ll call the A17 for short, doesn’t play cassettes. Nor does it play CDs, for that matter. 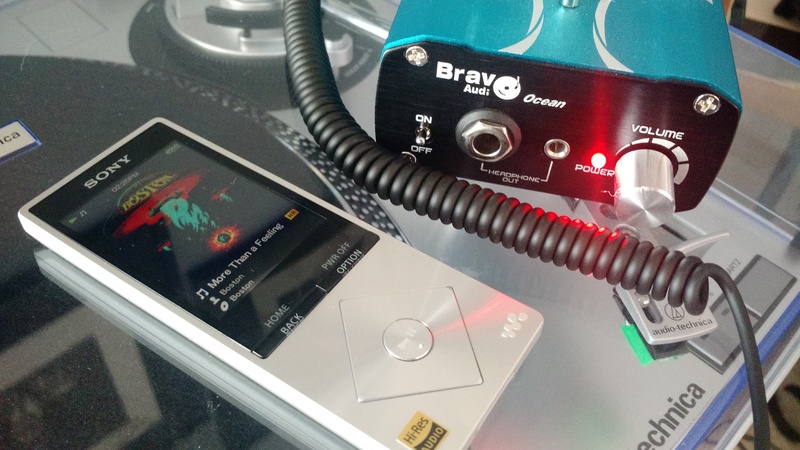 Instead, it’s a flash-memory based digital audio player (DAP), capable of playing back those high-resolution audio files you might have heard about recently. In a nutshell, these files are larger in size as they have more audio data. A CD, for example, plays music sampled at 44.1 kHz using 16-bits for each sample. The A17, and players similar to it, can play audio files up to 192 kHz and 24 bits, and support various file formats: MP3, ALAC, FLAC, AIFF, WAV and more. Some of these are compressed formats, while others are lossless. (Note: For those who are interested in buying high-resolution audio files for this or other players, Sony lists six online stores that sell such music. There are others, but those will get you started for whichever high-res DAP you use.) The A17 also attempts to enhance MP3 files; my ears aren’t yet sold on that feature as I’m hearing minimal difference when enabling this but songs appear to benefit. I wouldn’t consider myself an audiophile by any means, but my ears do enjoy the high-resolution formats. Note that we all have different hearing capabilities — which actually start to diminish a few years after we’re born — so I’m not suggesting that you’ll hear a difference between uncompressed high-resolution music files and well-encoded lossy MP3 songs. You might or you might not: It depends on your ears, the headphones, music player circuitry (ranging from amplifier to DAC, or digital analog converter, chip), the source files themselves and many other variables. But I like what I hear out of the Sony Walkman A17: Crisp, clear sound and nice separation of the various instruments and voices in songs. I actually already had a high-resolution audio player that I bought in the middle of last year. Sorry, Neil Young, it wasn’t your $399 Pono Player. Instead, I spent $349 for a FiiO X5 portable DAP. By comparison, I like the sound out of the X5 a smidge better than from the new A17, but it’s a close call. The X5 seems to have more power as well, driving higher-end headphones with a little more volume than the A17. I may invest in a portable headphone amp in the future; for now, I use a vacuum tube headphone amp for home use with the new Walkman. So why did I replace the X5 with an A17? A few reasons come to mind. First, I spend some time listening to the A17 last week at the Consumer Electronics Show. That was my first step and I recommend it to be yours with any DAP you’re considering: Get some “ears-on” time, because our indivitual listening capabilities are all different. Since I judged the sound quality to be on par or close to what I already owned, it came down to a few subtle but important differences. As nice as the X5 sounds, it’s bulky by comparison to the A17 and doesn’t last as long on a battery charge. 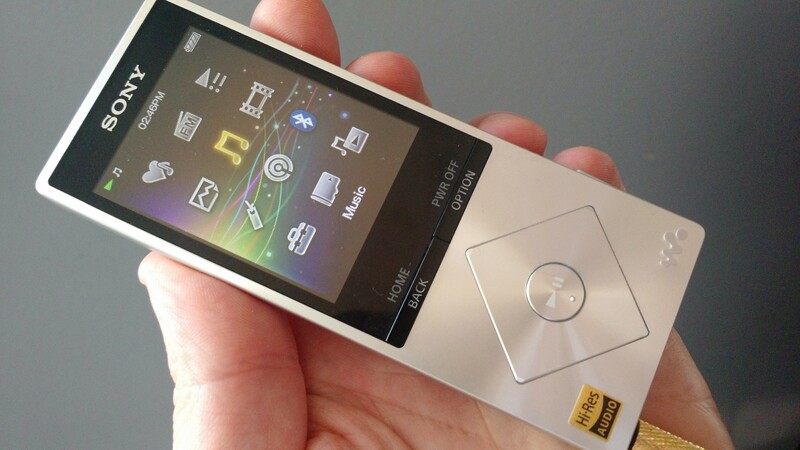 The user interface is mediocre at best, even though I’ve seen improvements from the FiiO team over time. Sony’s UI is fairly simple and easy to use. 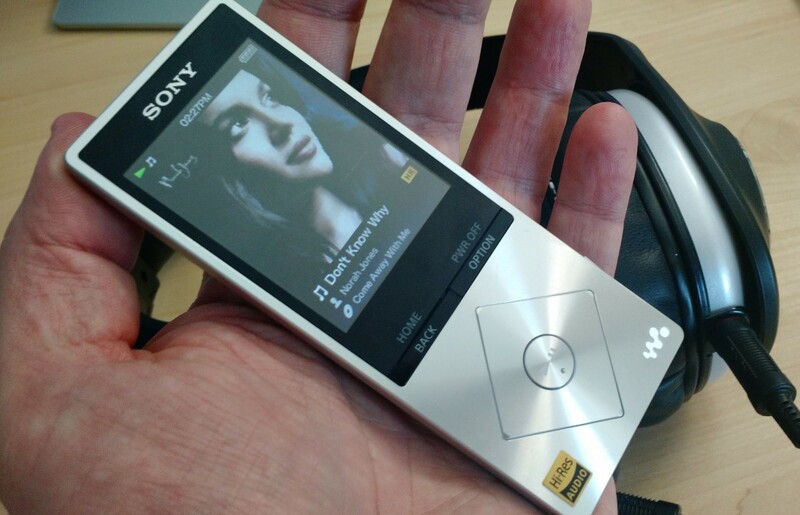 The Sony Walkman A17 has a few other nice touches, too. One is an FM tuner, which is not necessary, but nice to have. Second, the A17 has 64GB of internal storage with a microSD card slot for more. By comparison, my X5 has a pair of microSD slots but no internal storage at all. And you’ll need device storage if you listen to high-resolution audio files, which can easily be ten times larger than their compressed counterparts. Bluetooth with AptX support is also included with the A17 — handy, since I bought a Marshall Bluetooth speaker last year to pump out the tunes. Sony’s A17 Walkman also plays back video and supports photo viewing, but I’m not interested in either of those features. That experience is better on my smartphone with its larger, higher-resolution display. All in all, I’m happy with my new Walkman. I ordered it right from the CES show floor and it arrived when I got home from Las Vegas. I’ve only had it for a few days, but I’m enjoying immersive, clear audio from a very light and small package — the A17 weighs a scant 2.4 ounces — capable of playing high-resolution audio files for 30 hours or more on a charge. Switch to MP3 files and Sony says the battery will last for 50 hours. To me, the music sounds much better than what I hear on my phones and tablets, and as someone who listens to hours of music each day, that’s a win. Right now, the A17 brings me back to that Walkman nostalgia from the 1980’s while providing a sound experience for 2015 and beyond. I just bought my Walkman from Sony. Can’t wait! I’m hoping I can get my Windows Media Library on to it. My iTunes is a mess. So many friking duplicates. I’m trashing iTunes f0r good. Thanks for pointing us to this gadget, Kevin. Did not know Sony offered a high-quality audio device for $299–I guess that was lost in all the media commotion over the $1000 Walkman. I think the gadget blogs have us thinking that we’re stuck between poor-quality audio on our iPods and iPhones, and high-quality audio on things like the $1000 Walkman. Thanks in part to you, now we know we’ve got options. Sounds like you’re equally happy with the great sounds and the fact that the Walkman carries a little bit of nostalgia, too. I think I’d go for that too. I am so happy that walkman is back. This is so awesome! I’ve been playing FLAC files on my Galaxy S series for a few years now (Max 96/24). Combined with the 3rd party PowerAmp player and a Bluetooth connection to my car stereo (not ideal, I know), it really meets my needs. I like the idea of this player as I do the other HD players, but I am not sure I can justify the extra expense. If I did end up spending money on a dedicated player, I have been looking at Astell&Kern http://www.astellnkern.com/ . Kevin, I’m torn. I’ve pre-ordered the Pono, but now having second thoughts after reading your excellent article. Are you aware of any Pono vs. A17 side by side comparisons? Would you cancel the Pono order if you were me and go with the A17? Daniel, I’m *very* hesitant to provide the advice you’re looking for, mainly because our hearing sensitivity / capabilities are going to be different. The A17 might sound better to me while the Pono could sound better to you. I know that’s a non-answer answer but it’s an honest one. I’d say wait for your Pono to arrive and then, if you can, find an A17 or similar alternatives in a retail store. Bring your music on a microSD card and give a listen to both. A true audiophile would demand nothing less than a 10-band EQ for the most accurate and precise sound shaping to match the source and output device. I even showed the rep my HTC TP2 from 2009 with it’s 10-band EQ. He claimed that it could not play high bit-rate audio (which it can) – I didn’t want to embarrass him further. LOL You really underestimate me Kevin – I baby my gear like any other audiophile. The processing power needed to play back CD resolution is also extremely low. Just so you know, I’ve been around this stuff since the early 80’s as well. But to answer your question, the highest bitrate my sound hardware can record at is 16-bit 192kHz, which the TP2 can play back uncompressed. The highest quality WMA10Pro files I can create are 440kbps 96kHz 24-bit 2-channel 2-pass CBR which the TP2 also plays back effortlessly. Why do you think I haven’t plunked down on an iPhone? They don’t play back WMA/WMV natively, the hardware doesn’t have a wired remote control like my TP2 does, and there’s no customizable 10-band EQ to be found anywhere. I’m partial to a sliding QWERTY keyboard and removable battery as well. You may knock HTC and Windows Mobile, but it’s a solution that is still rocking strong for me. No worries, I’m cool with you. You know that WMA/WMV playback has been a standard thing in Windows Mobile devices for over a decade – that’s probably the reason why you wouldn’t see it “highlighted” anywhere, it’s been a part of the codec all along. I’m also using software like Cool Edit Pro and Windows Media Encoder x64 – no longer available, yet fully capable of making some of the highest bitrate audio files. I am an audiophile and have many friends that are audiophiles and I don’t know of one that uses the EQ settings at all. If you have headphones you like the sound of you shouldn’t need it. All it does is adds distortion which is an audiophiles nightmare. Thanks for your quick review. I was about to order the X5, but this little player gives me second thoughts. I do like very much the size factor, as well as a simple FM tuner, but the sound quality, details, stage, deep bass and most of all low output level worrie me. Let’s leave aside the output level for a minute – does it still sound as good as the X5 or a lot better then your smartphone running a decent app? Is the top volume level high enough and free of distortion? To my ears, this sounds much better than a smartphone capable of playing FLAC or other formats. If I were focusing solely on sound quality, I’d lean slightly towards the X5. Top volume level is distortion free in my Denon AH-D600’s but could really benefit from a portable amp. It includes a FM radio, but without being a HD Radio receiver? Seems foolish. Yup, I’m disappointed in that aspect as well. Seems like a missed opportunity as even the old Microsoft Zune HD had one. Im confused, sony just came out with this? aren’t they a little behind the 8 ball for this device. Nothing really special that I can see so why replace my iphone or ipod? I wish the small devices came with wifi to stream music from pandora or other music apps or even music that is stored in the cloud. All gyms have free wifi on premise and for me that would be worth the money. 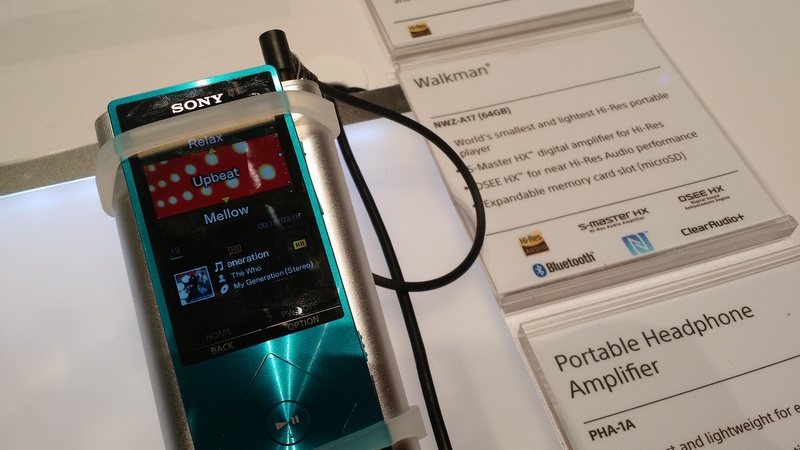 Sony has been making MP3 Walkmans for like 10-13 years. I should know I’ve had 3 NWZ series players from 2007-2014. 120-150 bucks. Even 89 bucks. Usually worked a long time. Better playback and more reliable, and less hard on the ears, with better volume settings than my HTC, Xperia, BB bold, any iPod k used to have. At least Sony still makes one thing right – with a good price. Unlike, PS 4 – with no games that now cost 90 bucks in Canada. As well as overpriced and zero customer support on everything. For most people. For those that understand argumentation, Sony can solve your problems. Hence why they gave me a brand new Xperia S after much delay, 2-3 years ago. You want to sell the X5? I don’t have a need for it, so it’s up for grabs. Drop me a note at kevin@gigaom.com if you’re interested. Want *really* great sound? For the audiophiles reading this…Magnetsmakemoremusic.com…game changer. Er… no. This is not the only “new hot stuff” from CES. And technically no, the first iPod was not superior to this walkman, provided you can hear the benefits of high-resolution audio files. You might not like this product, or perhaps you prefer an iPod, which is fine. Senselessly bashing a company (no matter which one) is pointless. Someone will need to explain to me the $299 price tag. Are there enough audiophiles ready to buy, in order to make this device profitable? Go to hifi forum, you will be surprised at the amount of audiophiles willing to pay for music. For $299 it is really one of the cheaper option, there are players up to 1.2k. Factoring in their earphones, dac/amp combo, I seen people using up to 5k for portable music. Crazy, but obviously there is a market and it is getting a lot bigger fast. I paid exactly the same price for an iPod touch with half the music storage space. It’s pretty standard price these days. Actually, I just checked and a 64 gb iPod touch sells for EXACTLY the same price at Target. A 32 is now $50 less. All my music is in iTunes and there is no other players out there that are iTune friendly to my knowledge. And it really ticks me off that they stopped selling the 128 gig one as that was going to be my next purchase. Change your CD import setting in iTunes to MP3. Then right click on the music file. Select the option to make an MP3 copy. Problem solved. You have made me start to drool over something which, until now, I did not know existed. If I end up buying one of these, I will choose to blame you :-) Great review! That blue one looks sweet! I don’t want to carry two devices so like most folks, I use my smartphone as my portable music player. However, I hate having to haul my phone out of my pocket to use the controls. The thing I miss the most about my iPod is being able to press the controls while it was still in my pocket. The Sony has 64GB internal storage and can handle up to a 128GB microSD card. You bought a high-resolution audio player that lists for $700. Congratulations! You’re an audiophile. I’m not following: The Sony A17 costs $299. Would you have any need to move up to the 1,200 version? The new model does support even higher-res formats such as DSD — same as my FiiO X5 — so if that’s important, the premium might be worth it to some. It also works with Google Play Store Android apps; I’d rather use my phone for that. MP3-players still not dead for me. Physical buttons, great battery life (one or even two weeks with moderate usage). Love it!